One very important part of my practice as a North Carolina motorcycle accident attorney is to provide services that support and educate the motorcycling community as well as to sponsor various motorcycle events events throughout North Carolina. 2018 is my 10th year of sponsorship of the Capital City Bikefest which takes place in Raleigh, North Carolina every September at the Tobacco Road Harley-Davidson dealership and in downtown Raleigh. This event was started by Ray Price 13 years ago and Tobacco Road is continuing the tradition. I appreciate everyone associated with Tobacco Road for giving me the opportunity to sponsor such a great event again this year. The layout of the event downtown has changed this year as the downtown portion of the event will be just at the Raleigh Convention Center. I will be set up at the Convention Center this year, and I look forward to talking with as many motorcyclists as I can and handing out my motorcycle towels. See you there! 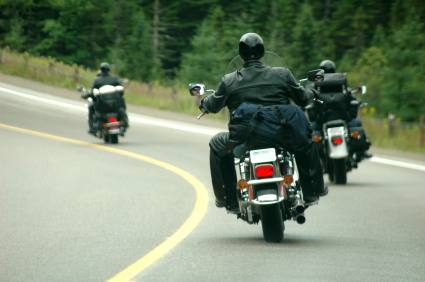 In my capacity as a North Carolina motorcycle accident lawyer, I have spoken to many motorcycle organizations about legal issues that affect those who ride. I have had the privilege of speaking to Harley Owners Groups (HOG) Chapters at Ray-Price Harley-Davidson in Raleigh, Fort Bragg Harley-Davidson in Fayetteville, Greensboro Harley-Davidson, Smokin’ Harley-Davidson in Winston-Salem, Raging Bull Harley-Davidson in Durham, Cox’s Harley-Davidson in Asheboro, Tilley’s Harley-Davidson in Salisbury, Cox’s Double Eagle Harley-Davidson in Southern Pines, and CrossRoads Harley-Davidson in Wilkesboro. I have also spoken to the Blue Knights NC II in Raleigh, the Honda Goldwing Chapters in Durham, Garner and Sanford, the United Riders in Archdale, the Christian Biker Association Raleigh Chapter, the Concerned Bikers Association (CBA) Raleigh Chapter, and to motorcyclists attending the Safety Awareness Seminar at Team Powersports in Garner, North Carolina. I have also had the privilege of speaking at the BUD’s Foundation Banquet in Rocky Mount, North Carolina. I view speaking with motorcycle groups as a public service and if your group or organization would like me to speak about issues related to motorcycle accidents or motorcycle insurance, please give me a call at 800-942-1191 or contact us today.